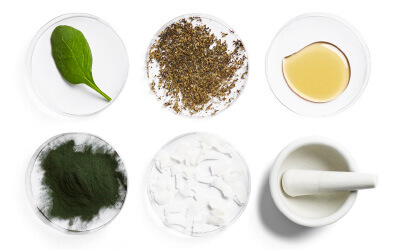 Your A-Z guide of beauty ingredients. Here you can discover what the ingredient does and how it works, along with insider tips from our MECCA skin care specialists. Derived from almond kernels, this non-fragrant oil boasts a variety of skin-repairing properties to protect, moisturise, soothe inflammation and combat dryness. Rich in replenishing fatty acids and protective antioxidants, almond oil is lauded for its ability to restore moisture and counteract the damaging effects of free radicals. Its high oleic acid composition also allows optimum nutrient delivery. Delightfully mild and gentle, almond oil is perfect for those with sensitive or dry skin. Topical application of this nourishing oil will ensure your skin appears supple and hydrated. Lauded by the ancient Egyptians as the ‘plant of eternity’, aloe vera was believed to hold the secrets to beauty, health and immortality. Still to this day, this resilient plant is known for its healing properties and is widely used to reduce inflammation and soothe and hydrate skin. Aloe vera possesses water-binding, antioxidant, anti-inflammatory and anti-bacterial properties. A succulent plant, it draws oxygen to the skin, locking in moisture and encouraging wound healing. As it heals the skin, itching is soothed, redness is minimised and hydration is replenished for a calm, softened complexion. A true remedy for sensitive, stressed-out complexions, aloe vera shares the same pH as skin, making it perfect for those prone to irritation! Naturally occurring in every cell of the body, alpha lipoic acid (ALA) is both an essential fatty acid and a potent, versatile antioxidant. Topical application of this powerful ingredient has shown the ability to minimise the appearance of fine lines, wrinkles, visible pores and uneven skin tone. 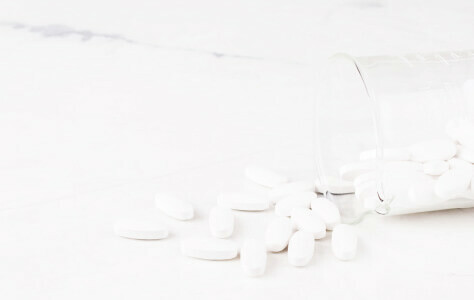 Alpha lipoic acid referred to as a network antioxidant due to its ability to regenerate other antioxidants, such as vitamins C and E and co-enzyme Q10. Because of its anti-inflammatory nature, it is also known to reduce the appearance of redness and puffiness, giving the look of a more even skin tone. Alpha lipoic acid’s favourite partner in crime is vitamin C, specifically an oil-soluble form like vitamin C ester or ascorbyl palmitate. Try pairing the two together, using a treatment or serum that is formulated with either ALA or vitamin C in the morning and a treatment or serum containing the other ingredient in the evening. Like liquid gold for the skin, this non-fragrant plant oil comes from the kernels of argan trees native to South Morocco. The oil is emollient (meaning, a moisturising ingredient that fills in gaps between skin cells to smooth and soften) and helps to protect, moisturise and nourish skin. 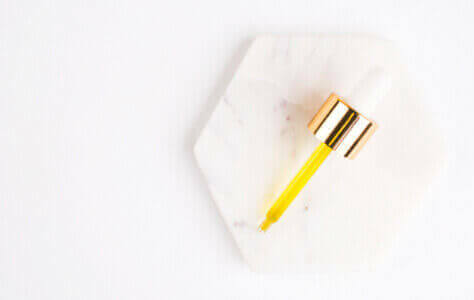 A potent source of vitamin E, essential lipids, fatty acids and antioxidant compounds, this oil works to nourish, fight against free radicals and restore the skin’s protective barrier. 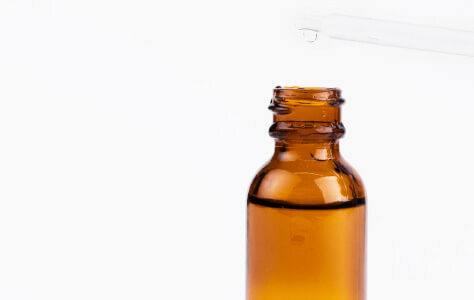 Argan Oil also helps to balance out your natural oil production reducing acne and blemishes. Argan Oil is the ultimate multitasker! Use as a makeup primer to give your foundation a luminous glow, apply to dry, split ends to nourish hair or use on dry, cracked cuticles. Extracted from the seeds of sweet apricots, this emollient plant oil smooths and softens skin whilst promoting the appearance of more supple skin. 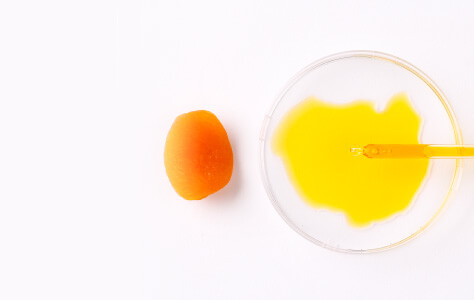 By mimicking the skin’s natural lipid content, apricot oil functions as a moisture-boosting agent and an occlusive barrier to deliver and lock in hydration. Rich in antioxidants and vitamin E, this plant oil restores moisture and promotes the appearance of firmer, more supple skin. Referred to as ‘the nectar of the gods’ in Greece, apricot oil makes the skin velvety soft and is often used for massage. 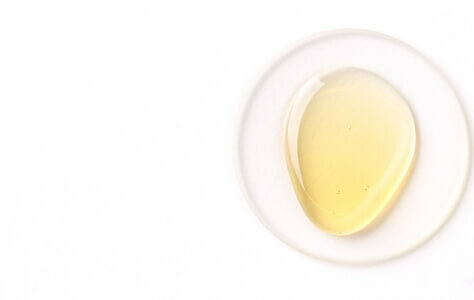 This lightweight oil feels weightless on the skin and imparts a natural radiance. Everybody’s favourite toast topping is not only delicious but also boasts an array of benefits for the complexion. This non-fragrant plant oil replenishes moisture, smooths and nourishes for supple, hydrated skin. Rich in antioxidants, skin-repairing fatty acids and vitamins A, D and E, avocado oil delivers these essential nutrients to the upper layers of the skin. This plant oil also possesses bactericidal and soothing properties that make it suitable for those prone to sensitivity. 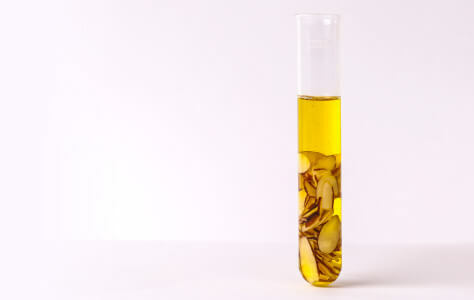 It is also commonly used as an emollient and carrier oil in skin care formulations. This multi-tasking superfood has an abundance of benefits for the skin. Using a cleansing product that contains avocado oil can help to remove dead skin cells and calm the appearance of inflammation of the sebaceous glands and pores, resulting in a clearer complexion. An acne fighting warrior, benzoyl peroxide is a topical antibacterial agent that helps to quickly fight acne-causing bacteria. The ingredient works by forcing an oxidant into the hair follicle where it releases oxygen that kills the bacteria which causes acne. 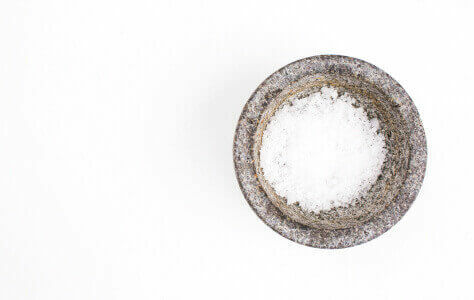 Secondly, as an anti-inflammatory the ingredient helps to reduce the redness and soreness associated with acne. Benzoyl peroxide can be drying to the skin so consider using it only once a day if you have acne. Apply an AHA or BHA exfoliant before using benzoyl peroxide for greater efficacy. Often referred to as the ‘Tree of Life’, the baobab tree is the largest succulent plant in the world and possesses the fruit from which the skin care ingredient is derived. Used in both powder and oil form, baobab has demonstrated the ability to grant the appearance of softened, soothed and hydrated skin. Africa’s answer to a super fruit, baobab is rich in vitamins A, B and C, essential minerals, potent antioxidants and omega 3, 6 & 9 fatty acids. This cocktail of skin-loving properties improves the appearance of skin elasticity and luminosity whilst restoring hydration. Move over acai! Akin to a multi-vitamin for the skin, this must-have new wonder ingredient contains six times as much vitamin C as oranges as well as a plethora of other minerals and nutrients. Incorporate baobab into your beauty regime and tick all of your skin needs. Like a shot of espresso for the skin, caffeine works to firm, tighten and brighten. As an anti-inflammatory, it is fantastic for reducing puffiness around the eye area and helpful in body products that target cellulite. Caffeine is able to boost circulation making it great for brightening skin. As an anti-inflammatory, it can assist in reducing fluid, thereby giving the appearance of firmer and tighter skin. Say goodbye to dry, flaky skin and the stubborn look of cellulite. Caffeine based products make for great natural body scrubs because they can stimulate blood flow to reduce the look of cellulite. A vegetable oil derived from the castor bean, castor oil cleanses skin and works to soften and soothe. It is most commonly found in soap, cream, shampoo, lipstick and hair products. Frequently used in cosmetic formulations, castor oil binds different ingredients together due to its thick, syrupy consistency. As an emollient, the oil is ideal for keeping the skin soft and moisturised. Castor oil has recently shot to fame thanks to the Kardashians, who are said to rub the oil into their brows and lashes to condition and promote growth. Ceramides are naturally occurring fatty acids that help to repair and strengthen the skin’s natural barrier system. They improve skin texture and help to keep it hydrated and soft. Ceramides play an essential role in the structure of skin’s epidermal layers. 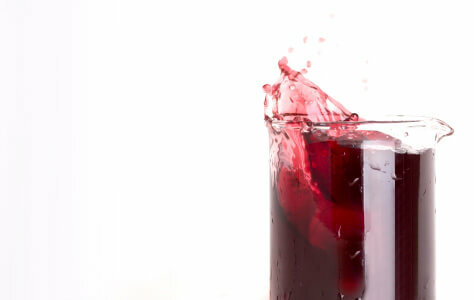 Naturally occurring, they retain water and encourage cell regulation. 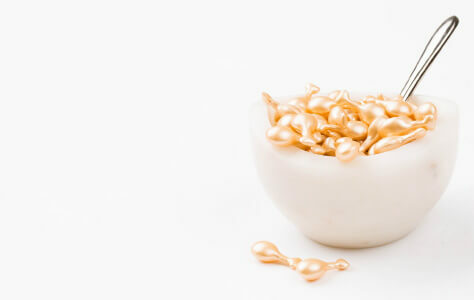 Ceramide production decreases as we age, which makes topical application beneficial for everyone. Ceramides are ideal for improving the appearance of stressed, sensitive, scaly, rough, dry, aged or sun-damaged skin. With its roots in aromatherapy and traditional medicine this restorative, antioxidant-rich plant has long been used for its anti-inflammatory and soothing properties. 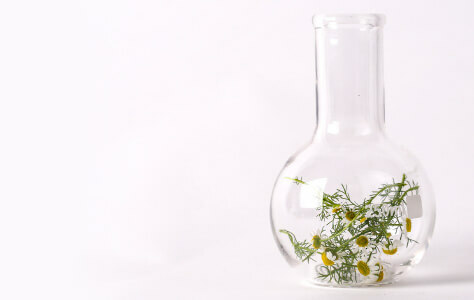 Chamomile is often used in skin care formulations to calm, soften and heal the complexion. The plant’s anti-inflammatory nature can be attributed to its high concentration of flavonoids, which also offer anti-redness and anti-itch benefits. Because of these calming properties, chamomile can be used to relieve irritated, stressed out complexions. Can’t make it to London to indulge in a signature Eve Lom facial? No problem, you can recreate the legendary facialist’s treatment at home — she harnesses the calming effect of this plant extract by applying gauze soaked in chamomile to the faces of her clients as a part of the skin ritual. 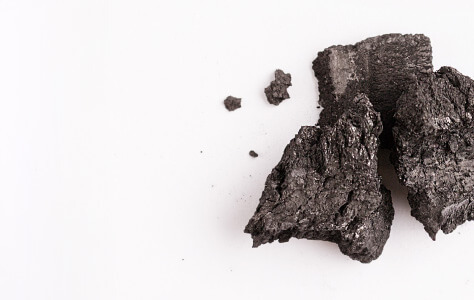 Whilst it might seem counterintuitive to use this black substance to cleanse and detoxify, charcoal has long been used in deep cleansing solutions and acne treatments. A saviour for congested, shine-prone complexions, this carbon material purifies and reduces the appearance of excess oil. Renowned for its absorption powers, this detoxifying ingredient acts as a magnet to attract and draw impurities, dirt and excess oils out of the skin. Because of this property and its antibacterial nature, charcoal is often found in mattifying, anti-blemish formulations. Whilst highly effective at drawing out dirt, excess oil and impurities, charcoal is also renowned for being ultra-gentle and therefore is ideal for angry, reactive complexions. An powerful extract occurring naturally in citrus fruits like oranges, grapefruit and lemons, citric acid brightens and exfoliates in one go. A type of alpha-hydroxy acid (AHA), this multi-tasking chemical exfoliator speeds up the removal of dead skin cells. The result? The appearance of age spots, fine lines, uneven skin tone and acne scarring is diminished. Clay provides soothing and healing benefits to the skin and is often used in acne and pore-refining treatments. Clay is able to absorb excess oil and impurities to reduce unwanted surface shine and minimise breakouts. 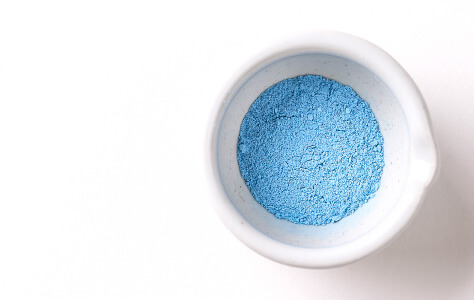 Able to re-mineralise the skin, clay helps to promote healthy functioning of cells. For oilier skin types, stick to using bentonite clay due to its superior absorption, tightening and acne-clearing abilities. For drier or more sensitive skin types, white kaolin clay is a great option for a milder exfoliation. Extracted from cocoa seeds, cocoa butter features a rich, creamy texture perfect for nourishing dry, weathered skin. 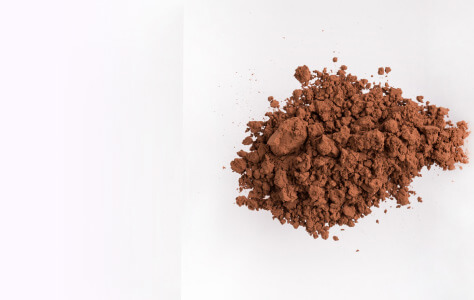 Cocoa powder, a derivative of roasted cocoa beans, is jam-packed with free-radical-fighting antioxidants. Known for its excellent skin-softening properties, cocoa butter moisturises by filling in the gaps between cells and preventing water loss. Its rich, creamy texture make it perfect for renewing dry, weathered skin. 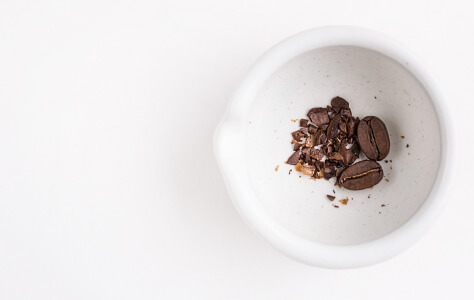 Rich in antioxidants, cocoa powder can effectively prevent and reverse the cellular damage caused by free radicals – unstable molecules implicated in ageing. Harvested for centuries in Africa, nutrient-rich cocoa butter and powder have crept into the makeup world in recent years and can be found in lipsticks, eyeshadows and powders. Skin-loving properties aside, the irresistible scent is an instant mood lifter. Coconut is able to deeply hydrate thanks to its excellent delivery system that enables it to transport other nutrients into the skin. Cold pressed, organic and raw coconut oil make for ideal moisturisers for dehydrated, itchy and sensitive skin. As a source of antibacterial Lauric and anti-inflammatory Caprylic acids, coconut works as a rich moisturiser and antioxidant. Rich in vitamins and minerals, coconut can also help in combating acne-causing bacteria leaving skin clean and clear. 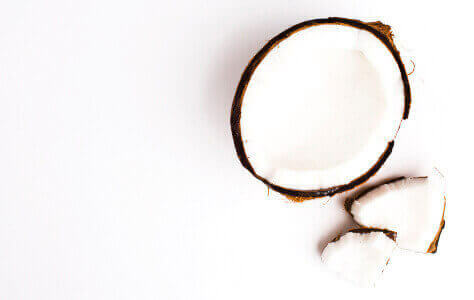 As coconut is so nourishing, it is especially great for dry skin. 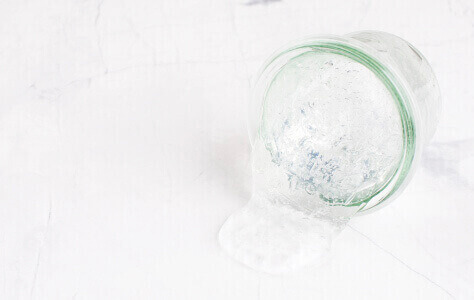 A hydrating multi-tasker, coconut oil is ideal to use on dry skin during winter. 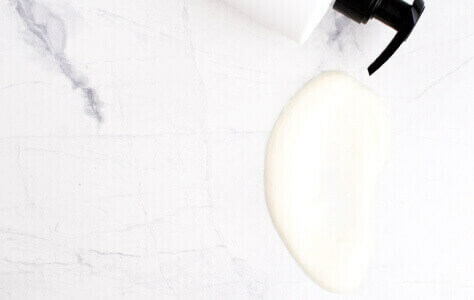 Lather over the entire body as a moisturiser after a hot shower while skin is still damp for optimum results! Collagen works to hydrate skin and provide instant skin plumping effects. While it’s naturally occurring in our skin, it gradually depletes over time and with exposure to UV rays. Collagen is able to bind and retain many times its own weight in water which allows for its strong moisturising abilities. It works with elastin and assists in renewing skin cells to give skin a smooth and softer texture. Topical use of collagen is fantastic to hydrate skin, however, the real key to getting the most out of collagen is to help your skin produce it itself. To do this, look to AHAs, peptides, retinol and vitamin C to boost collagen production. Naturally occurring in the body, co-enzyme Q10 is a vitamin-like substance that possesses powerful antioxidant and anti-inflammatory properties. Topical application of co-enzyme Q10 promotes firmer, more youthful-looking skin. Rich in antioxidants, this essential enzyme combats the action of damaging free radicals that hinder the production of collagen and elastin. As we age and are exposed to environmental stressors, our natural co-enzyme Q10 resources deplete and therefore, a loss of firmness ensues. Incorporating this ingredient into your skin care regime can lead to the appearance of a firmer, more youthful-looking complexion. Co-enzyme Q10 is referred to as a network antioxidant, meaning it works to replenish or enhance the activity of other antioxidants. Copper helps to improve the appearance of skin elasticity, firmness and thickness while minimising the appearance of wrinkles. Copper is vital for keeping skin healthy and supporting skin’s natural collagen and elastin networks, which keeps the complexion smooth and firm. Since the era of Ancient Egyptians, copper has been heralded as a ‘fountain of youth’. Commonly found in anti-ageing formulations, this powerhouse ingredient promotes the appearance of lifted, firm skin and softens fine lines and wrinkles. The result? Your most youthful-looking complexion imaginable. Boasting both anti-inflammatory and antioxidant properties dimethylaminoethanol (DMAE) offers free radical protection. It has also been shown to support the appearance of firm, taut skin and minimise the appearance of fine lines. Affectionately referred to as the ‘muscle magician’ by the in store staff, this hard-working ingredient is a must for anyone seeking the appearance of a firmer, lifted complexion. Dr Perricone also recommends incorporating DMAE into your diet through Alaskan red salmon — the richest natural source. Fruit Enzymes help to support biological processes in the skin that have slowed due to ageing or sun damage. Using enzymes on a regular basis can help keep the complexion firm, bright and hydrated with fewer breakouts. Most enzymes used in skin care are derived from fruits and vegetables, like papaya, pineapple, hyaluronic acid and pumpkin. They help to boost the activity of naturally occurring enzymes in our skin and break down intercellular bonds, polishing away dead skin cells. Enzymatic exfoliation is the gentlest form of exfoliation, making it ideal for more sensitive skin types. In particular, salmon roe found in Perricone MD products, is a clear winner for sensitive skin as it only dissolves dead skin cells with almost no risk of over-exfoliation. 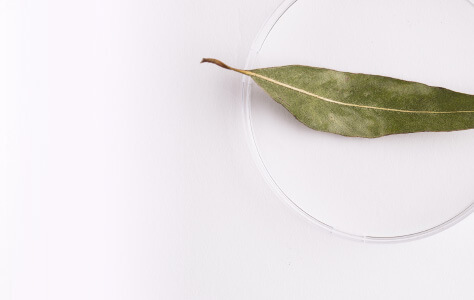 Derived from the leaves of native Australian eucalyptus trees, this fragrant plant oil is often found in anti-blemish formulas due to its ability to promote the appearance of a clearer, less congested complexion. Eucalyptol, the active component in eucalyptus oil, is said to possess antiseptic, disinfectant and antifungal activity. Because of these properties, it has therefore been found to inhibit the growth of some acne-causing bacteria and cut through excess oil. The aromatic oil derived from the eucalyptus tree is also known for its distinctive, uplifting scent. Fill your space with the refreshing scent of Diptyque’s Eucalyptus Candle or Malin+Goetz’s Eucalyptus Deodorant. A plant-derived antioxidant and anti-ageing wonder, ferulic acid helps destroy free radicals and improve the appearance of fine lines and wrinkles. This acid can also help to stabilise vitamins C and E, thereby increasing their effectiveness at neutralizing free radicals. This acid works to stabilise vitamins C and E by preventing their oxidation. Once stablised, these vitamins become more powerful and are able to promote collagen production, improving the look of ageing skin. Use ferulic acid in conjunction with retinol. This combination allows both ingredients to easily sink into the skin, giving visible results faster and reducing the skin’s sensitivity to the sun - normally a result of using retinol based products. A powerful antioxidant and anti-inflammatory agent, ginseng works to nourish, revitalise, smooth and hydrate the look of skin. The look of fine lines and wrinkles is reduced and the formation of dark spots is inhibited. Ginseng is able to deeply nourish skin thanks to its high vitamin content. It can improve the look of fine lines and wrinkles by promoting collagen production and healthy blood circulation. 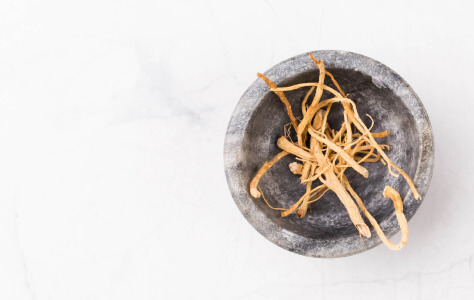 Ginseng has been used in traditional Chinese medicine for thousands of years as it is thought to promote longer life. It can certainly promote more youthful looking skin by protecting it from aging free radicals and encouraging the production of collagen. Glycerin replenishes and restores the skin by drawing and absorbing water from the air, thus helping the skin retain moisture. Syrupy in texture, glycerin is a skin-repairing substance found naturally in the skin— one of many that help maintain the outer barrier, and by doing so, assist in preventing the appearance of dryness or scaling. Combined with other emollients and/or oils, it’s a fundamental ingredient in most moisturisers. The use of glycerin in skin care formulations provides a smooth texture and works as a humectant to draw moisture from the air and help deliver active ingredients. This alpha hydroxy acid helps reduce the look of age spots and leaves the complexion softer, smoother, healthier and more radiant. Glycolic acid works by breaking down the substance that holds dead skin cells together, promoting cell turnover and leaving the skin’s surface smooth and clear. At the same time, the acid can stimulate the production of hyaluronic acid and increase moisture uptake which boosts hydration levels. Its hydrating and exfoliating properties make this an excellent ingredient to treat both acne as well and ageing skin. 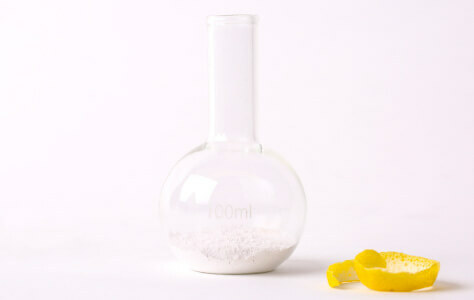 Glycolic Acid has the smallest molecular structure of the AHA’s making it the best for rapid or intense exfoliation. However, as it is deactivated by water, you have the power to control the intensity of the exfoliation. For a gentler exfoliation, add a little water to your glycolic acid cleanser, scrub or mask. Grape seed oil is rich in linoleic acid and vitamins C, D and E plus a concentrated amount of essential fatty acids, which assist in fighting the appearance of fine lines and wrinkles. Packed with potent antioxidants, grape seed oil diminishes the sun’s harmful effects and helps to combat the effect of damaging free-radicals. The linoleic acid found in grape seed oil soothes and nourishes the skin’s appearance, whilst the vitamin E keeps the complexion looking firm and smooth. This replenishing oil is easily absorbed by the body and can be used for reducing the appearance of age spots, as well as wrinkles and stretch marks. 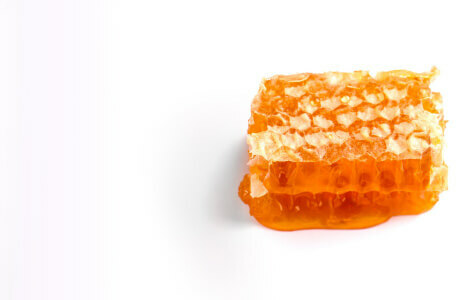 A gift from nature, honey has skin soothing, softening and moisturising abilities. 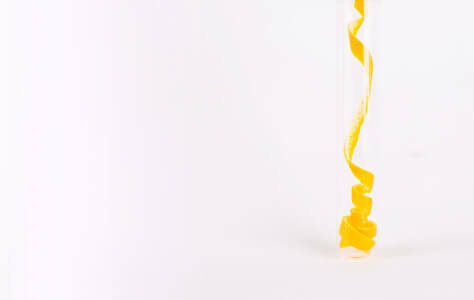 Able to fight signs of ageing and protect against free radicals, honey helps to keep skin looking and feeling healthy. It’s ideal for treating dryness, acne and skin irritation. Made by bees from the nectar of flowering plants, honey has a high amino acid, peptide and vitamin content with strong anti-inflammatory and antioxidant properties. 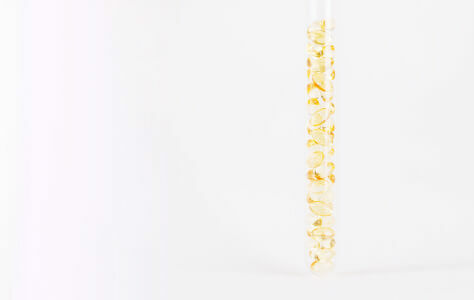 As a potent humectant, honey is able to hydrate skin by retaining moisture from the air. Naturally anti-microbial, honey is able to deeply cleanse the skin and flush away excess bacteria that can clog pores and cause breakouts. Take inspiration from the famed Egyptian Queen, Cleopatra, and bathe in milk and honey to break down dry, dead skin (with the milk) and soften new skin with the honey. 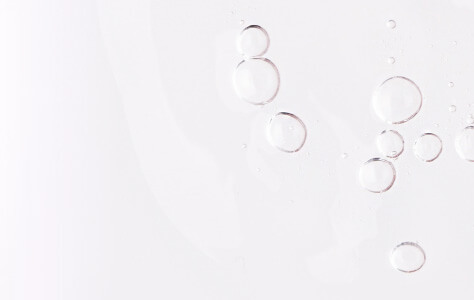 The secret to plump, hydrated and super soft skin lies within hyaluronic acid. Naturally occurring in the body, we lose 1% of hyaluronic acid each year, so topical application is essential to moisturise, reduce inflammation, prevent water loss and boost skin’s elasticity and plumpness, in order to relieve the look of fine lines. 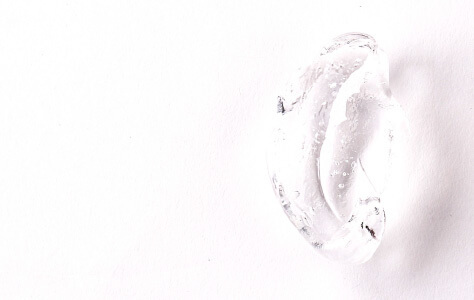 Hyaluronic acid is able to hydrate and improve skin’s elasticity by regulating general skin activity thanks to its ability to aid the regulation of epidermal cells. Its ability to retain 1000 times its own weight in water, boosts skin’s moisture content and helps to plump the look of skin. 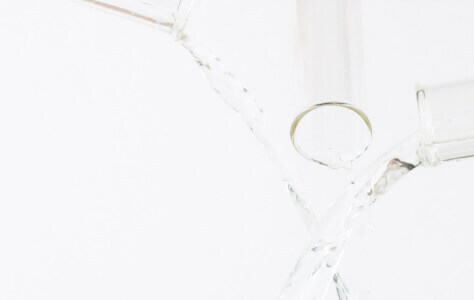 For skin cells to make use of important nutrients, there has to be enough water available to them which is what makes hyaluronic acid such an ideal delivery system. However, as it breaks down every 24-48 hours, it’s important to re-apply on a regular basis to maintain optimum hydration levels and continue allowing cells to make the most of the nutrients available to them. 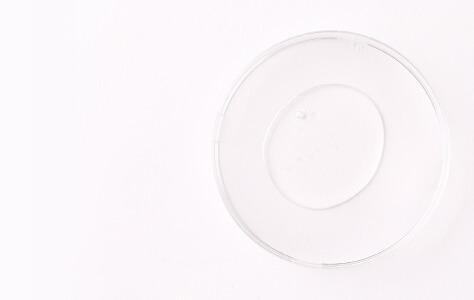 Even better, as hyaluronic acid plumps to perfection it’s ideal for applying under makeup to create a smooth canvas. Believed by Native Americans to have mystical, healing powers, the oil derived from the jojoba plant is among the earliest forms of natural skin care. These days, being both a moisturiser and emollient, jojoba oil is best known for its ability to enhance the skin’s barrier-repair properties. Jojoba oil is similar to the skin’s own natural wax ester, allowing pores to remain dilated and help this nourishing oil deliver nutrients. 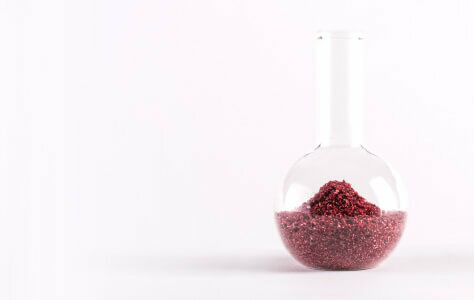 It also acts as a carrier, helping transport other important compounds to the skin. This plant oil is not only extremely versatile but is also naturally antibacterial, antiviral, antifungal, analgesic, anti-inflammatory and hypoallergenic. With a molecular structure almost identical to that of the sebum produced by human skin, jojoba oil is extremely skin-compatible and is often used as a lightweight carrier oil. 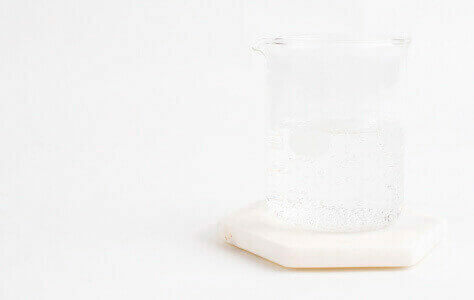 Lactic acid, is an AHA derived from milk that is both a chemical exfoliant and a moisturiser. The acid helps to brighten, reduce the look of wrinkles and improve skin texture. Lactic acid is able to exfoliate dead skin cells off the skin’s surface by breaking down the substance that binds them together. Its humectant abilities (able to attract, absorb and hold onto water) enable it to keep skin hydrated and the skin’s surface smooth. Lactic Acid is the most gentle of all the AHA’s because it has the largest molecular structure, making it the ideal exfoliator for sensitive skin. You can use this in high concentrations with almost no risk of over exfoliating skin. Derived from the wool of sheep, this rich emollient deeply moisturises to grant soft, smooth skin. The molecular structure of lanolin closely resembles that of human sebum, making it compatible for almost everyone. With its thick consistency and effective calming properties, lanolin remedies dryness by delivering moisture and creating a semi-occlusive yet breathable barrier on the surface of the skin to prevent water loss. Use of lanolin to hydrate was discovered, so they say, by sheep-shearing shepherds whose hands were remarkably soft and well-conditioned! 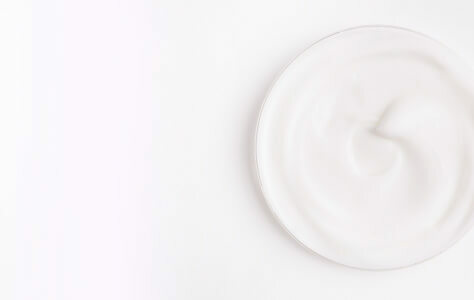 Since then, the powerful skin-smoothing properties have been harnessed for use in skincare preparations. Primarily a fragrance ingredient and commonly used in aromatherapy, lavender is an all-purpose essential oil that can help to balance, energise and relieve stress. It’s ideal for calming the mind and encouraging a restful sleep. Lavender has many therapeutic properties and is known to be anti-allergenic, anti-inflammatory, antiseptic and antibacterial. When used in conjunction with other oils, lavender can enhance and balance their effect, making it a great stabilising ingredient. A must-have for instant stress relief and relaxation, lavender forces you to breathe deeper and more slowly, providing a sense of calm. Try it in the This Works sleep range! 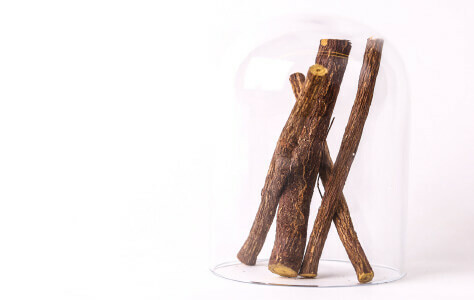 Sourced from the root of the Glycyrrhiza glabra plant, licorice extract is one of the oldest remedies in history. A must-have ingredient in the skin care regime of Japanese geisha, this skin-brightening agent has long been praised for its ability to minimise discolouration and promote the appearance of a more even complexion. Licorice extract brightens and promotes even skin tone by inhibiting melanin production. By blocking the build-up of melanin, licorice extract can reduce the appearance of dark spots and discolouration —resulting in a more even complexion. 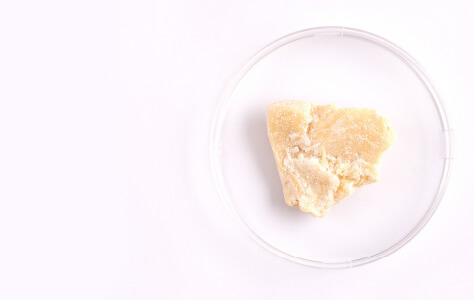 Also present in this extract is licochalcone, a molecule that possesses both anti-bacterial and anti-inflammatory properties. When looking to tackle hyperpigmentation and dark spots, pair licorice extract with AHAs or BHAs along with a broad spectrum SPF for best results. Extracted from the kernels of the marula fruit, this lightweight oil has been lauded as Africa’s ‘little known beauty secret’ thanks to its many complexion benefits. Think: soft, supple skin with a touch of luminosity. A skin-loving all-rounder, marula oil is both anti-inflammatory and rich in potent antioxidants; vitamin C, vitamin E, essential amino acids and flavonoids. This concoction of antioxidants, alongside omegas 6 and 9, replenishes moisture and minimises the appearance of redness. The high essential fatty acid composition also mimics that of the outer layer of the skin, allowing for optimum absorption. The benefits of the do-it-all wonder oil are seemingly endless. The impressive antioxidant composition of marula oil is partly attributed to the fact that it grows wild in the untouched, nutrient-rich soil of northern South Africa. 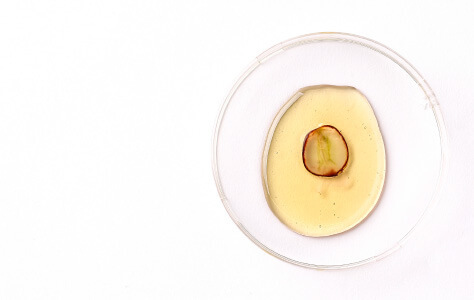 The marula tree is so highly regarded that it is protected in South Africa by strict policies that ensure sustainable harvesting and environmental responsibility. Gentle on skin yet highly effective, micelles thoroughly cleanse leaving skin soft and hydrated. 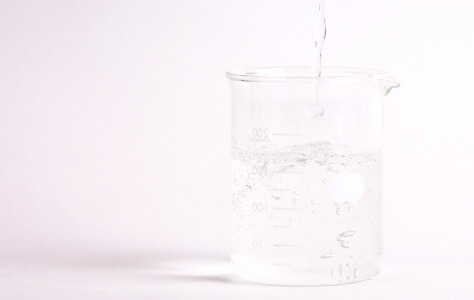 Micelles are electrically charged oil molecules suspended in water that, when grouped together, form micellar water. When applied to the skin, micelles latch onto dirt, makeup and other impurities and dissolve them. The first micellar waters were fashioned in France over 100 years ago to rescue delicate Parisian skin from the region’s infamously harsh water supply. They remain a staple in the French beauty regime and their ability to remove makeup, cleanse and soften in one simple, no-rinse step make them a must-have, especially for dry and sensitive skin. Naturally derived from dairy, milk proteins are soothing and nourishing making them ideal for dry and sensitive skin types. 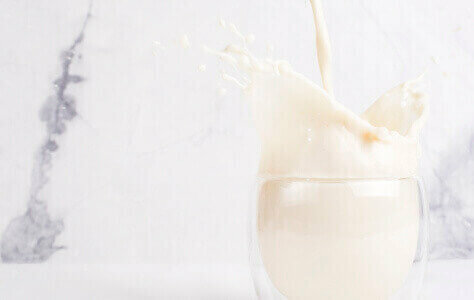 Milk proteins’ water-retention abilities enable it to hydrate skin and provide a smooth look and feel. Whether it's a dry face or body, skin in need of gentle and nutritive effects can benefit from milk protein. Like all proteins, they’re non-irritating, making it an excellent option for those with particularly dry or sensitive skin. A powerful ingredient from the vitamin B family, lauded for its ability to interact with and guide cells. Niacinamide addresses a number of skin concerns including the appearance of acne, hyper pigmentation, reduced skin elasticity and redness. When applied topically, niacinamide encourages the skin’s cells to behave in a more effective manner to mimic younger, healthier cells. 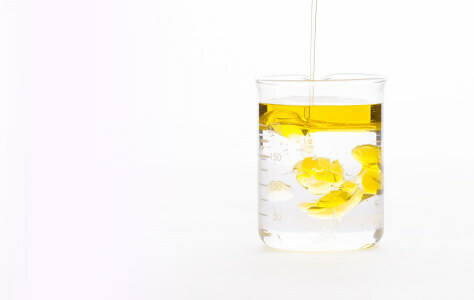 In particular, niacinamide has been found to boost synthesis of fatty acids, ceramides and fibroblasts, stimulate microcirculation in the dermis, inhibit the appearance of pigmentation, prevent water loss, preserve enzymes responsible for the production of cellular energy and lipids, protect against oxidative damage and promote production of collagen. Whether you’re concerned about the look of dryness, pigmentation, sun damage, acne or the signs of skin aging, Niacinamide can help. Pair with a broad spectrum sunscreen during the day to protect skin from the damaging effects of the sun. 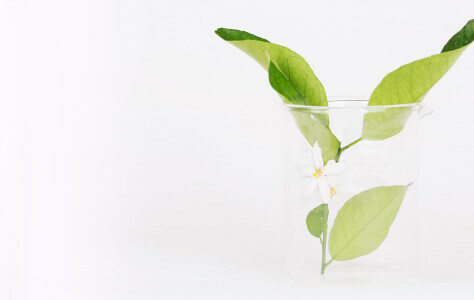 Derived from the blossoms of the bitter orange tree, neroli oil is an aromatic essential oil lauded for its ability to relax the mind and uplift the senses. The use of this oil in skin care preparations is said to have a toning effect on the skin. Neroli oil is not only known for its aromatherapy properties but it’s also believed to exert astringent properties, making it ideal for those with combination or oily skin types. 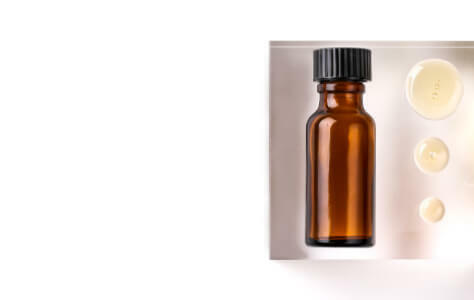 Additionally, this essential oil exhibits both antioxidant and antimicrobial activity. This aromatic oil was named in the 17th century by Princess Anne-Marie of Nerola, Italy, who used the essence of bitter orange to fragrance her gloves, stationary, scarves and baths. Due to her esteem and influence, many other noble women followed suit and so neroli oil became an integral ingredient in perfumery. Omegas, such as Omega 3,6, 7 and 9, help to nourish and hydrate the skin. Omega 7 is best for helping to renew and restore skin suppleness; Omega 6 deeply hydrates; Omega 3 reduces redness and irritation; and Omega 9 intensely nourishes and protects from environmental stressors. With antioxidant and anti-inflammatory properties, they can help to strengthen the skin’s barrier and allow your other skin care products to penetrate more deeply. Omegas provide essential fatty acids that the body cannot naturally produce so that the cell membrane of your skin cells remain supple, plump and resistant to damage caused by the elements. 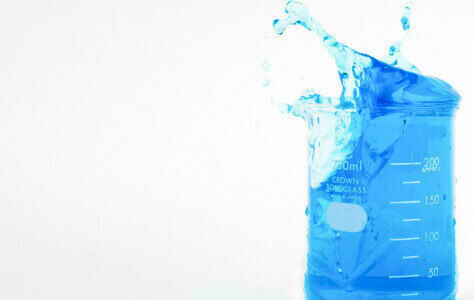 Omegas will also help reduce loss of hydration and restore a youthful glow to skin. Panthenol is a moisturiser and natural chemical compound sometimes known as pro-vitamin B5. This emollient is deeply hydrating and nourishing with anti-inflammatory protection, helping to soothe the appearance of dry skin. Panthenol provides essential moisture to the skin, assisting in reducing dryness and enhancing the appearance of the skin’s overall suppleness. As a form of vitamin B5, panthenol acts as a humectant that helps to retain moisture in the skin and hair. This means it will prevent the appearance of dehydration and plump from within, giving you smooth, radiant and bouncy skin. With continued use it can calm and soothe the appearance of any inflammation in the skin too! Known for their reparative power, peptides are ideal for those seeking the look of firmer skin with fewer fine lines and wrinkles. Whilst the specific benefit is largely dependent on the individual peptide, most promote cellular repair, resulting in the appearance of a smoother, more youthful looking complexion. Formed by chains of linked amino acids, peptides are cell-communicating compounds. Peptides are able to communicate with surrounding cells and help to activate numerous skin-restorative processes. Two of these processes—collagen production and tissue repair—, lead to an improvement in skin elasticity, softening of fine lines and wrinkles and reduction in inflammation. 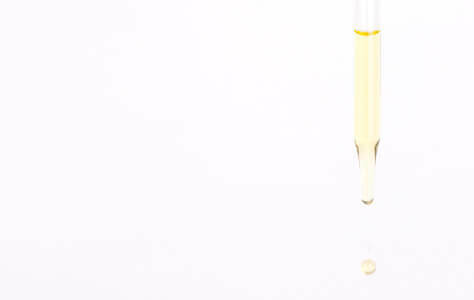 Peptides are often found in anti-ageing products thanks to their reparative power. Keep an eye out for Palmitoyl Oligopeptide, known for its ability to encourage collagen production and firm the skin, and Palmitoyl Tetrapeptide-7, attributed to lessening the inflammatory response. Often overlooked, phytic acid is one of the most underrated acids used in skin care formulations. 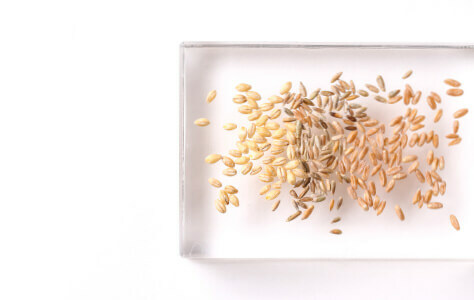 Commonly found in bran, cereal and seeds, this antioxidant-rich plant extract offers mild resurfacing and skin-brightening benefits without irritation. As a chemical exfoliant, phytic acid gently refines the appearance of skin’s surface to smooth, minimise texture and even tone. This plant extract is also considered an effective treatment for hyperpigmentation. If you find other acids a little too abrasive, this might be the one for you. Due to its ability to act at a low pH without the skin, phytic acid is a perfect alternative for those prone to sensitivity. Resveratrol is thought to be one of nature’s best defenders — it’s a product synthesised by plants in response to stress or infection from environmental aggressors. Topical application of this antimicrobial substance has demonstrated the ability to promote the appearance of a smooth, youthful-looking complexion. As a particularly potent polyphenolic antioxidant, resveratrol exerts its protective effects by scavenging existing free radicals and preventing the formation of new ones. This action results in an improvement in the appearance of fine lines and wrinkles, elasticity, firmness uneven skin texture and UVB-related skin damage. This incredible ingredient, found in a glass of red wine, is referred to as a life preserver. When administered to flies, resveratrol has been found to halt the aging process in its tracks and extend their lifespan. So, incorporate this powerful ingredient into your skin care regime as well as your diet with a glass of red wine or grape juice. A powerhouse ingredient, Retinol works to enhance skin’s radiance and visibly improve the look of fine lines, wrinkles, acne, oiliness and rosacea. With the ability to help skin cells create better, healthier cells, the skin’s structure, tone and texture improves. 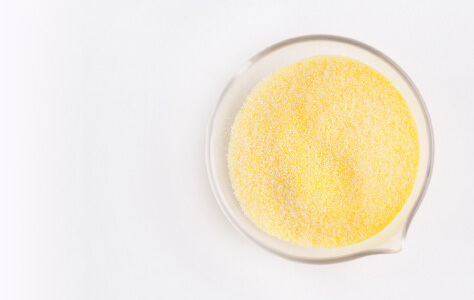 A potent derivative of vitamin A, this is a cell-communicating ingredient (and antioxidant) which instructs damaged skin cells to make healthier cells and counteract the activity of enzymes that degrade collagen and elastin. It’s always important to wear an SPF during the day, but it’s especially important when using retinol for two reasons; firstly, the skin can become more sensitive when using retinol so it’s more susceptible to burning, secondly, as it is photosensitive, the sun renders the ingredient inactive. The added benefit of using cosmetic based retinol products is you will experience less irritation than prescription based retinoic acid. Rice bran is known for its skin smoothing enzymes, antioxidant properties and ability to help promote collagen production. Meanwhile, rice starch assists in forming a soothing protective film over the skin. 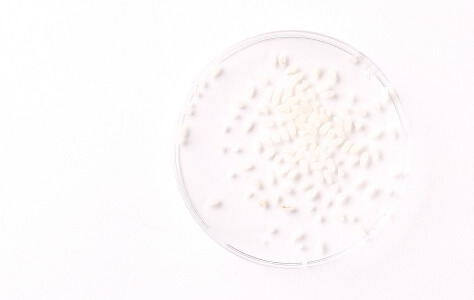 As a humectant (an ingredient that preserves moisture), rice is a skin conditioning ingredient that contains linoleic acid, oleic acid, palmitic acid, vitamin E and oryzanol. In rice bran oil, squalene (a natural moisturiser) is found in high quantities making it ideal for dry, mature-aged skin. Legend says that Japanese women bathed in rice water to give their skin a beautiful luminosity. Whether or not this is true, it can definitely be said that rice is an excellent exfoliator that smooths the appearance of the skin, making it look brighter and more radiant. Rose oil provides essential moisture to the skin and helps to treat redness and inflammation. Similarly, rose water provides cleansing and soothing properties. As an antiseptic and antioxidant, rose is able to support the healing process of damaged skin and also protect against free radicals. The flower’s scent also has relaxing, blood-pressure lowering benefits that help soothe skin’s surface. Ditch the sugar for your 3pm pick-me-up and instead reach for a rosewater spray. It’s a great spritz over the face throughout the day and over makeup to keep skin feeling hydrated and refreshed. One of Mother Nature’s treasures, Rosehip helps to nourish, rejuvenate and hydrate the skin. Soothing and restoring, rosehip can help maintain healthy collagen levels, leaving skin smooth and plump. A rich source of vitamin and a natural source of vitamin A with high levels of essential fatty acids, this oil has anti-ageing and antioxidant properties. 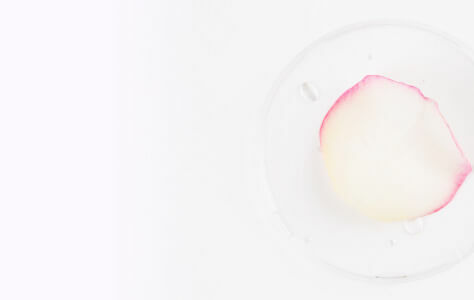 As an emollient, Rosehip is able to moisturise and nourish skin. 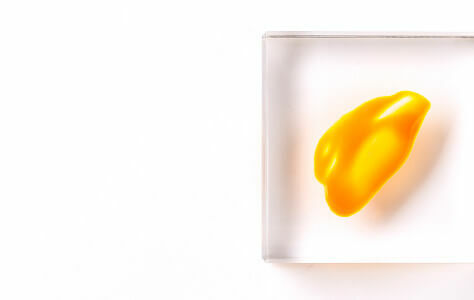 All skin types can benefit from rosehip oil as its packed with essential fatty acids, vitamins and antioxidants. It’s a healing oil that has the unique ability to deeply nourish and balance all skin types. Highly effective in clearing acne and blackheads as well as the appearance of wrinkles, roughness and tone. 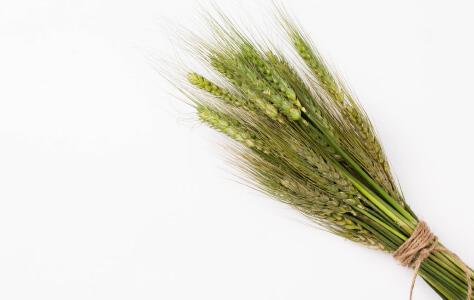 As a beta-hydroxy acid (BHA), it has both exfoliating, anti-bacterial and anti-inflammatory properties. Salicylic Acid is able to renew and refine skin texture by dissolving the glue between dead skin cells on the skin’s surface. If these dead skin cells multiply quickly and stick together, a breakout or acne can occur. This is where salicylic acid comes in and dissolves the sticky glue that holds these cells together, effectively unclogging the pores. At the same time, the lipid soluble acid treats breakouts by penetrating the pore lining to exfoliate from inside the pore as well as on the skin’s surface. Bid breakouts and the look of wrinkles goodbye with a dose of salicylic acid. Use it in targeted areas, all over the face or even the body depending on the product. Interestingly, salicylic acid comes from the Willow Bark tree, which is also where Aspirin comes from! A remedy for the look of ageing skin, seaweed works to stimulate, revitalise and nourish. Able to smooth and soften skin, it is effective in improving the appearance of wrinkles and fine lines as well as treating acne. Seaweed is used in Chinese medicine and Polynesian culture to alleviate the symptoms of mild burns, rashes, wounds and swelling. 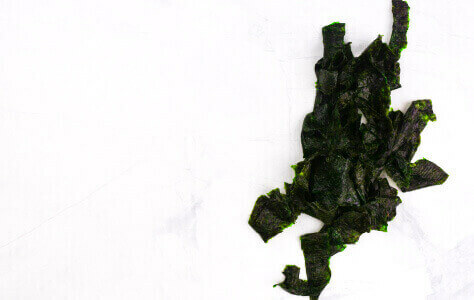 With a high iodine and sulfur amino acid content, seaweed treats a wide variety of skin concerns. Its moisturising and wrinkle-smoothing properties come from its high silicone content and ability to react with protein to form a protective gel on the skin’s surface. With antibiotic properties, seaweed can also protect against infection and reduce acne-causing bacteria. With tens of thousands of seaweed varieties in the world, this is a skin care superstar. In particular, the pigment astaxanthin found in algae (used in Sunday Riley and Dr Dennis Gross formulations), is ideal to use for potent anti-inflammatory action and to support cell renewal. Seaweed is suitable for using on all skin types, but especially great for dry skin due to its hydrating, nourishing and conditioning properties. Derived from the nut of the African shea nut tree, shea butter is a rich source of vitamins A, D and E, as well as a host of antioxidants. 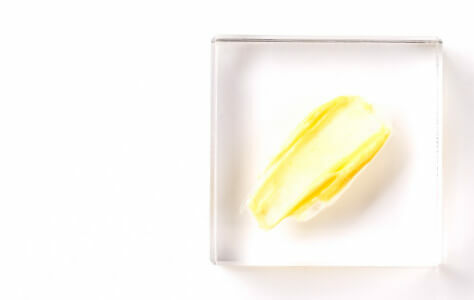 A naturally rich emollient, this butter helps skin retain its moisture, keeping it hydrated and nourished. When topically applied, shea butter works to restore suppleness, boost moisture and improve the look of dry skin. For millennia, the people of Africa have been using this miracle butter to protect their skin and hair from the scorching sun and drying desert winds (it is said that the Egyptian Queen Nefertiti owed her legendary beauty to the use of shea). 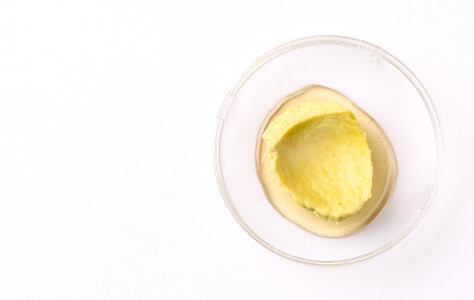 Protective and deeply moisturising, consider shea butter a ‘superfood for the skin’. 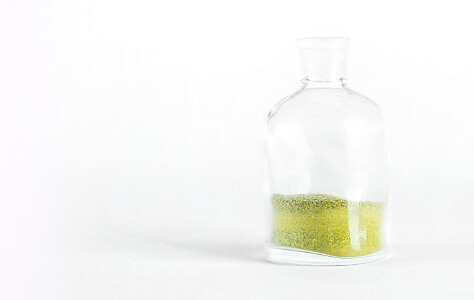 Highly effective yet gentle on the skin, sulphur is a naturally-occurring mineral that is often used in the treatment of acne, eczema and psoriasis. With mild antiseptic properties, it is perfect for those with delicate, sensitive or dry skin. 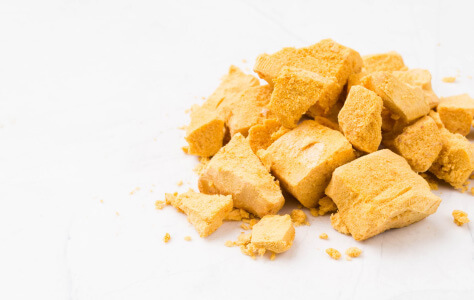 Sulphur works to banish the appearance of blemishes and treat skin ailments by inhibiting the activity of oil glands and acne-causing bacteria as well as dissolving the top layer of dead skin cells. In doing so, it encourages cell turnover, minimises excess oil and prevents the blockage and inflammation of pores, leading to more refined, clearer skin. A great anti-blemish alternative for those who find salicylic acid or benzoyl peroxide irritating or a little too harsh. Plus, with ancient natural healing properties, itchy and irritated skin will find blissful relief when soaking in hot sulphur springs. Chemical sunscreen formulations offer broad spectrum protection through the use of synthetic, chemical filters. Topical application of these filters can prevent the damaging effects of ultra violet (UV) rays, including premature ageing. The active ingredients used in chemical sunscreens act to neutralise the sun’s UVA and UVB rays, preventing them from penetrating the skin’s surface. Unlike physical sunscreens which offer immediate protection, chemical sunscreens require approximately 20 minutes for efficacy to kick in. We all know that it’s essential to top-up your SPF protection throughout the day, however this isn’t always easy to do when wearing a full face of makeup. If you don’t wish to remove your base and start again, apply a generous dusting of mineral powder with SPF protection over the top of your makeup a few times a day. A physical sunscreen uses mineral filters to offer broad spectrum protection from the sun by reflecting damaging ultra violet (UV) rays. Regular use of a physical sunscreen can prevent some premature ageing attributed to sun exposure. The most common active ingredients found in physical sunscreens are titanium dioxide and zinc oxide. The active components of physical sunscreens work to protect against sun exposure by creating a barrier that physically blocks and deflects the sun’s rays to prevent them penetrating the skin’s surface. If applied as directed, topical application of a physical sunscreen allows for immediate protection. Both titanium dioxide and zinc oxide offer broad spectrum protection against both UVA and UVB rays. Sensitive skin types fear not, physical sunscreens can be ultra-gentle. Zinc oxide, one of the most commonly used physical sunscreen ingredients, is known to be extremely anti-inflammatory and soothing. 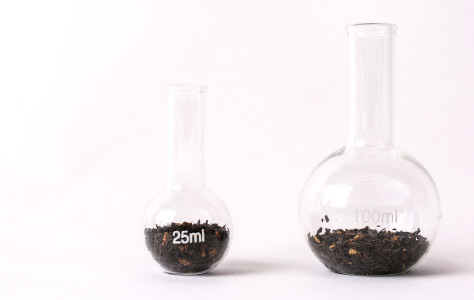 Commonly used in anti-ageing formulas, tea can help to soften and smooth skin as well as reduce the appearance of eye puffiness and protect against harsh environmental conditions. Green tea contains high levels of antioxidants called catechins, making it a useful ingredient for detoxifying, keeping skin looking and feeling healthy. As a humectant and emollient, it assists the skin with holding onto moisture leaving it looking soft and conditioned. With anti-inflammatory properties that prove helpful in reducing the appearance of puffiness, especially in under eye areas. Drink it and apply it to your skin for numerous benefits! A popular beauty and health remedy used for generations across Asian cultures. Sourced from the leaves of Australian Melaleuca trees, tea tree oil is lauded for its ability to promote a clearer complexion by fighting bacteria attributed to the formation of blemishes. Particularly beneficial for those prone to breakouts, this plant extract boasts antiseptic, antimicrobial and germicidal properties that combat acne-causing bacteria. 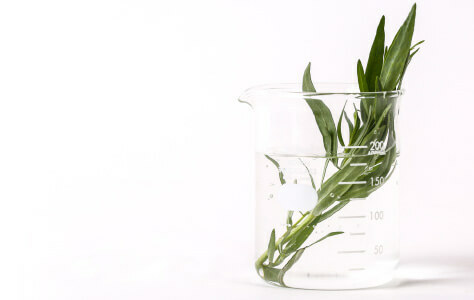 Tea tree oil targets the appearance of existing blemishes and can help combat breakouts. It is also an anti-inflammatory, meaning it soothes and minimises the appearance of redness and irritation often associated with breakouts. This all-round classic, native Australian ingredient is a powerful antiseptic to assist in reducing the appearance of acne. 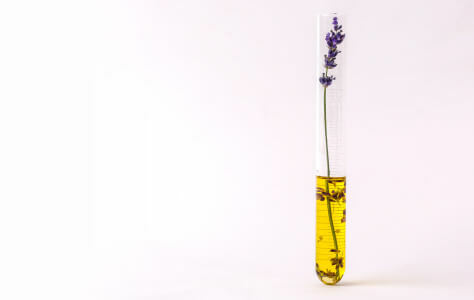 Its fresh, clean fragrance and healing superpowers make it an unsung hero of the skincare world! Vitamin C works to fight against free radical damage, strengthen collagen, brighten, treat the look of pigmentation caused by sun damage and smooth skin’s texture. As an antioxidant with some anti-inflammatory properties, vitamin C is able to help protect against free radicals. As a melanin inhibitor, it brightens hyperpigmentation and improves the look of skin over time. Vitamin C can be great to use under sunscreen as research has shown that it boosts sunscreen’s efficacy by defending skin from free radicals produced by sun exposure. The skin can be more sensitive when using vitamin C as the new skin cells have not been exposed to sunlight, so be sure to always wear an SPF in conjunction. A long loved favourite in the beauty world, vitamin E works to recharge other antioxidants and accelerate their results, moisturise, sooth and rejuvenate. It also has anti-ageing benefits. Naturally present in the skin but depleted with age and sun exposure, topical application of vitamin E can have many benefits. As an antioxidant, it can fight free radicals and offer substantial anti-inflammatory support. It can also keep skin hydrated by strengthening the skin’s natural barrier and therefore reducing water loss. This soothing plant extract has been historically used in the topical treatment of burns, bites, sunburns and skin irritations. Witch hazel remedies inflamed, stressed out skin whilst offering antioxidant protection. With its anti-inflammatory, anti-itching, softening and emollient properties, this plant extract calms and soothes the appearance of redness and irritation. Thanks to its high concentration of tannins, witch hazel is also known for its ability to give the appearance of tightened pores. Most commonly known as an astringent, witch hazel can be used to reduce the appearance of pores and absorb excess oil. It is also known for its ability to seal in moisture where needed, reduce the appearance puffiness around the eyes and supply a rich source of polyphenols and antioxidants.